In the culinary traditions of spring bitter herbs occupy an important role. Taken to the table on the occasion of the Jewish holiday of Pesach, which celebrates the liberation of slavery and the escape from Egypt, they accompanied the unleavened bread, prepared quickly, without leavening, and they were the symbol of bitterness and difficulty. Harvested in the meadows during the spring, they are rich in healthy properties, but according to some research their consumption is decreasing, surpassed by the exuberant presence of sweet taste, which today we use in excessive quantities. This is why rediscovering the taste of bitter herbs constitutes a benefit for well-being and the palate. Towards the end of winter, when the snow melts and the first new shoots are born in the meadows, bitter herbs appear. To be consumed cooked or raw, are valuable for the purification of the organism. Know the recipe of Neapolitan escarole? Thanks to the addition of olives, raisins, walnuts and anchovies, they whet the appetite with an unmistakable scent and can also be used for the preparation of the famous stuffed pizza. The herbs, together with the seasonal vegetables or the cheese, constitute the ingredient always used for rustic, savory and stuffed pies for tortelloni or ravioli. In fact, throughout Italy, the stuffed egg pasta represents an ancient tradition: it seems that the ravioli with herbs, to be prepared with ricotta, were already known in the Middle Ages, later becoming the lean dish prepared for Good Friday. They stimulate the work of the liver and the process of detoxication, improve bowel function and help burn fat. 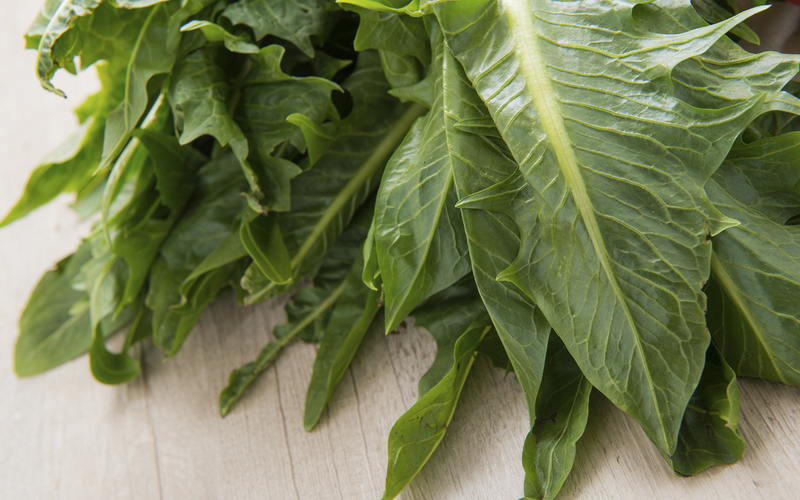 Eating herbs such as chicory and chicory, black cabbage, endive, chicory and Catalonia regularly prevents seasonal ailments and strengthens the immune system. Excellent in soup, blanched or sautéed in a pan with a drizzle of raw oil, they become a simple and nutritious side dish. Avoid keeping the herbs too long because the leaves tend to perish quickly: alternatively, you can boil them in salted water and freeze some portions ready for use when you're in a hurry. A famous dish of Roman cuisine is the salad of puntarelle, which is prepared with the catalonia herringbone, garlic, oil, vinegar and anchovies. Even the dandelion can be eaten raw: all you have to do is choose the softest leaves and season with a drizzle of oil, lemon and a sprinkling of pepper, to taste. Bring energy to the table and a touch of liveliness: plants like nettle and chicory are delicious as a condiment for pasta and velvety, but also in omelette. Research shows that we are addicted to the sweet taste, predominant in our usual diet, while bitterness tends to disappear, a declining food habit, from which imbalances can arise, as well as difficulties in the liver and gall bladder. An excellent opportunity to give the welcome to spring rediscovering the pleasure of a natural diet, rich in nutrients and fresh simplicity.